British Airways and Lastminute.com are among the brands supporting a campaign for a 'Fair Tax on Flying', which has prompted more than 25 travel companies to lobby the Government in a bid to halt aviation tax rises. ABTA, the travel trade body, is the mastermind behind the campaign, which is also supported by an alliance of more than 25 airlines, airports, tour operators, destinations and trade associations, including BAA, British Airways, Lastminute.com, BMI, TUI travel and Virgin Atlantic. ABTA believes Air Passenger Duty (APD) is having a detrimental impact on the travel industry and, subsequently, the UK economy. Spokespeople from the tourism industry will go on TV and radio to talk about the value of tourism and the impact of APD on holiday spending. 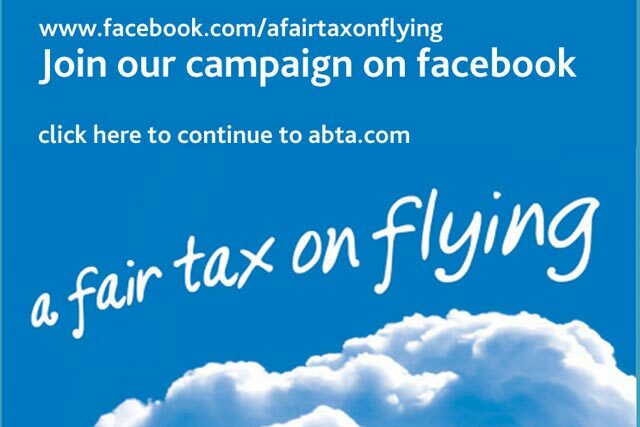 They will also speak to the public on a dedicated Facebook page, www.facebook.com/afairtaxonflying. The Government's announcement about its tourism strategy wil be announced tomorrow (4 March). The national Budget is also announced this month, which could increase aviation tax. The alliance has written to chancellor George Osborne, outlining five tests for APD in the event that the tax is revised. These include what it sees as a sensible tax banding for flight destinations from the UK, a fairer rate of tax for passengers flying in premium economy class, and a fairer assessment of the effect of the tax on holiday destinations. Mark Tanzer, ABTA chief executive, said: "The industry is willing to pay its way, but a 26-fold increase since 1994 puts the UK at a competitive disadvantage when compared with our European neighbours, and punishes UK holidaymakers and business travellers unfairly. "Air passenger numbers have decreased by 22% since 2007 when the tax was last increased, and increasing it yet further will cause significant strain on hard-pressed family budgets and hamper the UK economy’s growth." Keith Williams, British Airways chief executive, said: "We recognise the exceptional difficulty of the country's fiscal position and we are content to pay our fair share. But the UK airline industry is already the most heavily taxed in the world and any further tax burden will be counterproductive to the country's economic recovery." The UK pays the highest rates of APD in Europe, with £2.2bn expected to be paid to the tax this year. The Government intends to raise the tax by £1.4bn by 2015. Last October, low-cost carrier easyJet launched a print ad campaigning against the tax.